A terrorist doesn’t let strangers into her flat because they might be undercover police or intelligence agents… but her children bring their mates home and they run all over the place. The terrorist doesn’t know that one of these kids has bugged every room in her house, copied her computer files and stolen her address book. The kid works for CHERUB. CHERUB is the secret training ground for young MI5 spies. 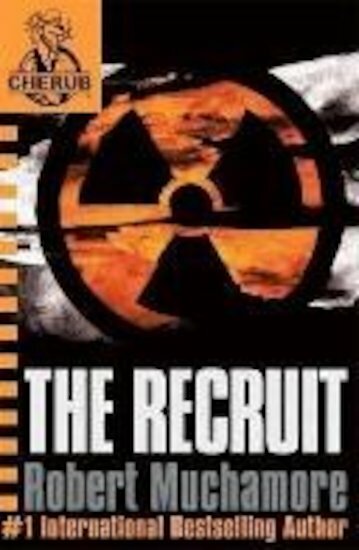 Aged from ten to seventeen, its agents operate in the real world, slipping under adult radar to get intelligence which sends criminals and terrorists to jail. So when troubled kid James is recruited by CHERUB, he’s grateful. Now he’s away from the Children’s Home, and from trouble with the police. He thinks CHERUB has saved his life. But for how long? BRILLIANT READ!!!! Defiently one of the best books ive ever red. I was hooked way before the start of chapter 2! Cant wait to read the 2nd book! I lent this to my friend who doesnt read much and he loves it! Amazing. I think the best part was when James friends tell him to take off his navy cherub shirt without realising that he has earned it. No words to describe this book. Absolutely amazing and really believable. I want to be a CHERUB! Wow, that’s one word I can give you for this book, its different and its unique, I remember seeing it on a website and saying its not for me, then I bought it and its now my favourite book. This book is brillient for boys and girls alike as it is packed with humour,adventure, suspense and normal everyday life. deadly.so action packed and full of humour.COOL!! This book is amazing its all about a boy called James Adams and he becomes a member of CHERUB a society that has children who become spies and go on very important missions. This is a really interesting book, you’ll wish it was true! It makes you want to join CHERUB, and read about James and Lauren’s adventures! WOW. Altogether in words I can only describe this book as being Incredibly-Amazing. I was at the library at School, looking around for a book that would interest me. Suddenly somebody comes up to me and suggests that I read this book. I take the book home, even though it wasn’t probably something that I would usually read. (I’m more into Vampire books, Mystery etc. )So, I read the first page and straight away I was hooked! My eyes would read the pages fast, because I was really getting into the book! All of the Action and the great storyline! 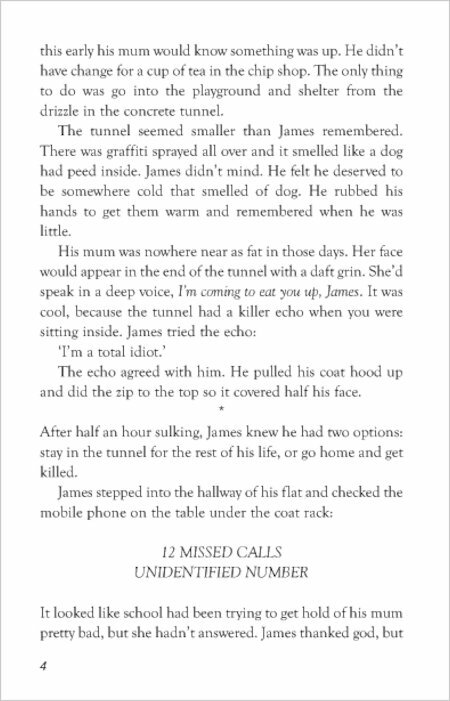 I really clung to the Characters, especially James, and everything is described soo well that you can create a clear image of the setting in your head! I was so glad that the person had suggested this book to me, so I thanked her :) Even now, I am still reading Titles by Robert Muchamore. It’s true what they say “Don’t judge a book by its cover!” I always thought how in-complete my life would have been if I had never discovered this amazing book/ the CHERUB Series! DEFINITELY RECOMMENDED. A GREAT READ! 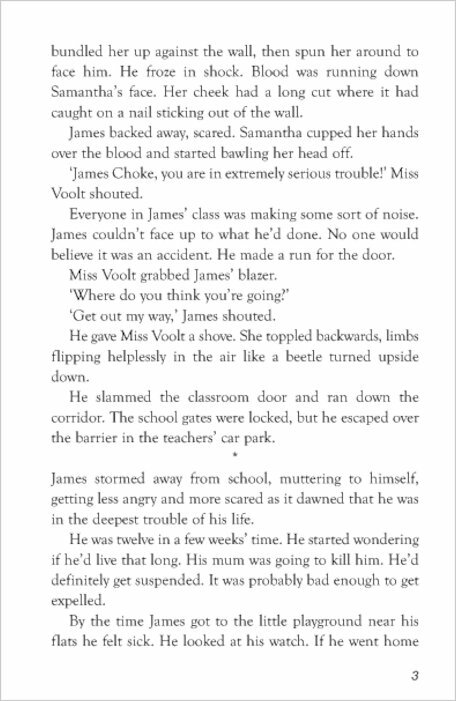 i feel so sorry for James choke and being in care was hard till he went to Cherub and meet Kerry,but he is pulled away from his sister which is sad but Kyle and Bruce take him to see his sister which is band but he wants to kill his sister real dad but he is not James’s dad, his sister is being abused so in the end she is put into care, and when James comes back from basic training he sees his sister again and forever what a happy ending doesn’t it. WARNING:little kids out this book has bad words in it!!!!! This book is a serious yet thrilling book it had me begging for more!!!!!! I think this book is fantatic for wanna be teenage spies. I love the fact that you are ranked depending on the colour of your shirt.